If a video store clerk forgets to unlock the DVD case for the movie or TV show you've rented, you may get all the way home to discover that there's no way to watch the program you've paid to see. Some DVD cases will actually destroy the disc inside if the locking mechanism is tampered with or forced open because the DVD is locked to the center hub . There is a better way. Use this handy guide to remove the DVD case lock from your paid rental. Inspect the DVD case to determine where the lock is located and how it works. 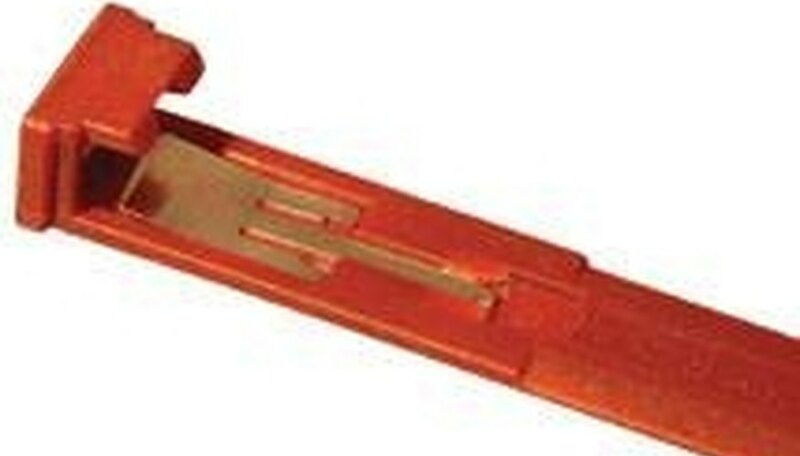 Major rental chains typically use a plastic strip that slides from the bottom of the case and is held in place by magnetic steel plates The strip is "L " shaped and either red or yellow. Hold the case front side up and slide a magnet along the right-hand edge until you feel the magnet begin to pull. You will feel a strong pull and a weaker pull. Place a magnet on the back of the case in the same spot where you felt the stronger pull in front. Place another magnet on the front of the case over the second spot where you felt the weaker pull. Rub the magnets slowly over both spots at the same time. Wiggle the magnets if necessary. The locking strip will pop and you will be able to slide it out of the bottom of the case. Twist the bottom of the L-shaped locking strip where it shows at the bottom of the DVD case. Twist this piece of plastic until it breaks off. Insert the tip of a corkscrew into the hole and push the tip into one of the small holes in the locking strip. Twist the corkscrew as though you are opening a bottle of wine. The locking strip will turn until it disengages from the locking mechanism. Note: this technique is a method of last resort, as it will ruin the plastic locking strip and possibly the DVD case as well. This article is strictly for informational purposes and is in no way intended for use in the furtherance of illegal activities.